In his Canterbury Tales, Geoffrey Chaucer presents a series of charming stories told by his colorful medieval characters. These holy and not-so-holy fourteenth-century pilgrims were on their merry way to the shrine of St. Thomas á Becket, long before the days when modern transit made pilgrimages an easy-going affair. But roughing it for Christ is not a thing of the past. There are even Americans today who still do it the old-fashioned way — on foot. To them, it is the best way, because it is more spiritually rewarding. Perhaps it is to train these tough-minded Catholics for “all its demands” that they exercise their faith in such a foot-blistering manner. The pilgrimage, now in its thirteenth year, is no mere athleticism, though. 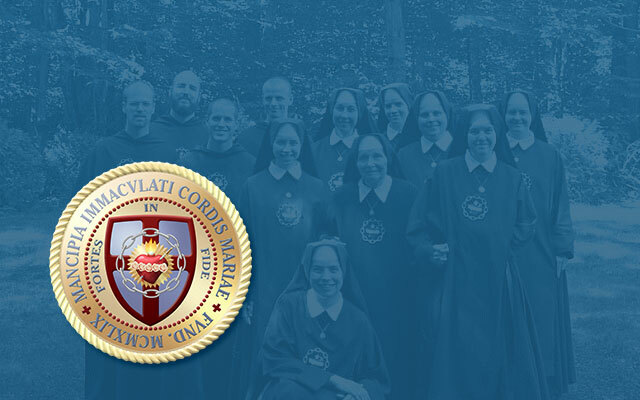 It is a spiritual exercise “for the restoration of a new Christendom, and in reparation for sins against the Immaculate Heart of Mary,” Lloyd says. Pilgrims walk through the woods of verdant upstate New York singing hymns, praying the Rosary, and meditating together in their small brigades, each of which is named after a saint or an important Christian mystery. At night, they camp in tents or under the open sky. The Masses on the pilgrimage trail are offered in a makeshift chapel-tent, while the closing Liturgy is a Solemn Mass, complete with Gregorian Chant and all the austere pageantry of Latin Christendom. The pilgrimage’s combination of arduous physical effort and interior delight accompanying the spiritual exercises (especially the predawn daily Latin Mass) has been described as “the agony and the ecstasy.” All is not painful, though, and certainly nothing is dour in this journey. In fact, there is plenty of Christian mirth along the way, especially when the young people stage a talent show on Thursday night. For those not able to handle the constant walking, there are support vehicles equipped to take them to the next stop. There are also nurses, “the blister brigade,” who tend to the pilgrims’ aches and pains as needed. Participants with less time or stamina for the long excursion can join on the final day for the seven-mile stretch from Fonda to Auriesville. Whereas Chaucer’s pilgrims went to the shrine of St. Thomas at Canterbury, the Pilgrimage for Restoration terminates at the shrine of the Eight North American Martyrs, whose prayers are invoked for the conversion of America. Most of these Martyrs died on the Canadian side of the border, but three of them (St. Isaac Jogues, St. René Goupil, and St. Jean de la Lande) died 365 years ago in what is now New York State. Goupil was martyred in the Mohawk village of Ossernenon (now Auriesvile), where his precious remains were lost. After the Solemn Mass, pilgrims can walk the graceful descent into the peaceful ravine where his body was last seen. A series of plaques along the way narrate the story of his martyrdom at the hands of the Mohawks, and the loss of his sacred remains. Who knows. Maybe some ambitious young writer will leave posterity with the Auriesville Tales.